There is an apocryphal tale favored by many Copts. It retells a supposed meeting between the Coptic Pope and a Russian Count, an emissary of the Tsar, in the 1850’s during the Crimean war when Russia was keen to outflank the Ottoman empire. The Count offers the Pope the Tsar’s protection for the Copts in exchange for loyalty to the Russian Church. The Pope asks the Count “and who protects the Tsar?”. The Count, as expected, replies, “God, of course”. The Pope concludes the meeting by saying that “We Copts prefer to cut out the middle man and seek God’s protection directly”. Something like this was probably behind the refusal of many Coptic leaders to meet US Secretary of State Hillary Clinton. While fetid allegations swirl about secret deals between the US and the MB, the chances are that serious Copts do not believe this nonsense. It was a smart decision not to been seen as seeking a foreigner’s help against their fellow Egyptians. The meeting would have seemed exceedingly sectarian. The Copts needed to give no cover to US politicians wishing to appear concerned about their fate. That concern, laudable as it maybe, is not likely to materialize in much action beyond polite bleating, should things turn nasty for the Copts. 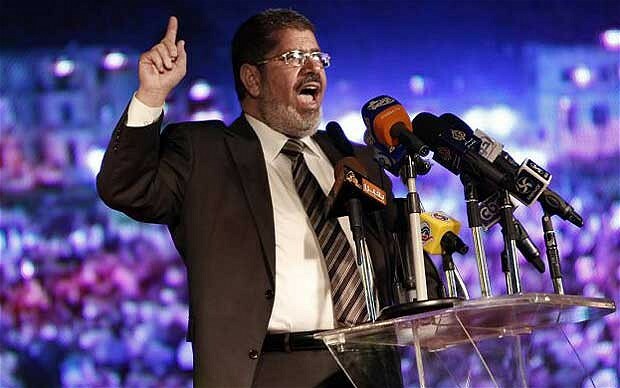 Better to take their chances with their fellow Egyptians, including those in the Islamist camp. Even if many of those are fond of mixing bitter intent with honeyed words.